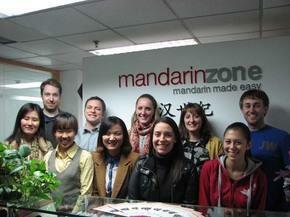 Mandarin Zone School is a Chinese language school in Beijing, we offer provides effective language training as well as other culture related service to non-native-speakers. Located in Sanlitun diplomatica area of Beijing. With a variety of Chinese courses and programs for adult and children, for short term and long term, Mandarin Zone School offers the flexibility to choose the right program and course for your Chinese study.